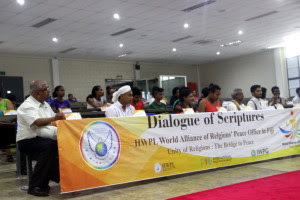 Heavenly Culture, World Peace, Restoration of Light (“HWPL”) hosted the second World Alliance of Religions’ Peace (‘WARP’) Office Meeting on May 9th 2015, in Fiji National University. This time, prominent religious leaders- Dewan Maharaj, Are Wakowako, Gayendra Shastri, Markhand Bhatt, Mohammed Atik, and Natasha Poinapen who represent Christianity, Hinduism, Islam, and Bahaism, respectively – and 40 student representatives of Fiji National University discussed their opinions on ‘the role of each religion in establishing world peace.’ While the first meeting on March 21st emphasized the necessity of communication among religions, the representatives in this meeting suggested the unification of the Scriptures as a practical method of peace-building, an idea that captivated the audience. The meeting started with showing attendees the peace movement of peacemaker Man Hee Lee, the chairman of HWPL, and chairwoman of International Women’s Peace Group (‘IWPG’), by watching HWPL introduction video. Then, Rahul Rolland, the student representative of Fiji National University who participated in HWPL’s World Alliance of Religions’ Peace (WARP) Summit last September in Seoul, delivered his testimony about his experiences at the summit. He explained that the goal of WARP Summit is to enact an international law for the cessation of war and to form the alliance of all religions for peace. He added that the promises made in the WARP Summit are actively carried out through establishing WARP Offices all around the world. WARP Offices are contributing to establishing peace-building process by leading communication and harmony among religions. 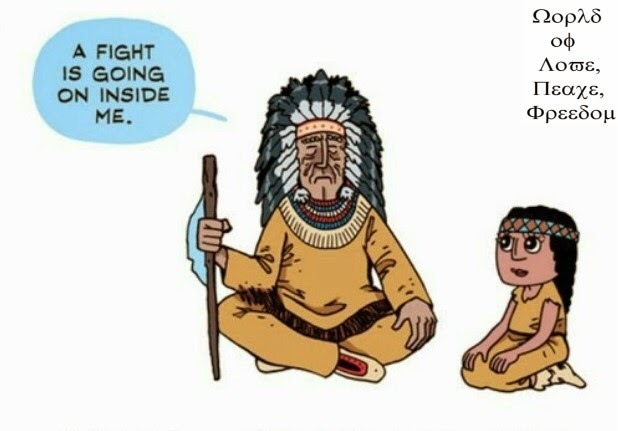 After the testimony, each representative addressed the role of each religion in establishing peace. Especially, they stressed the necessity and effectiveness of WARP Offices. All attendees pledged to join the HWPL’s peace movement and signed on the peace agreement. As the government of Fiji became a democratic society, amendment on the constitution of Fiji on September 6th 2013 clarified that Fiji is a secular state in order to secure the liberty of practicing any religions in Fiji. It is very encouraging that peaceful country like Fiji has held peace forum twice already. Future WARP Office meetings around the world are geared toward establishing its foundation in understanding and embracing differences among religions to achieve peace through studying the most reliable scripture. The WARP Office forum held in Fiji became the ‘peace hub’ in Oceania region to bring sustainable peace to the entire continent.